Navigate the world hands free with the durable Foretrex 701 Ballistic Edition wrist-mounted GPS navigator for outdoor and tactical use. Constructed to military standards for thermal, shock and vibration (MIL-STD-810G standard), Foretrex 701 includes Applied Ballistics Elite software to calculate aiming solutions for long-range shooting. Keep your bearings nearly anywhere with GPS, GLONASS and Galileo satellite systems, which provide accurate positioning. 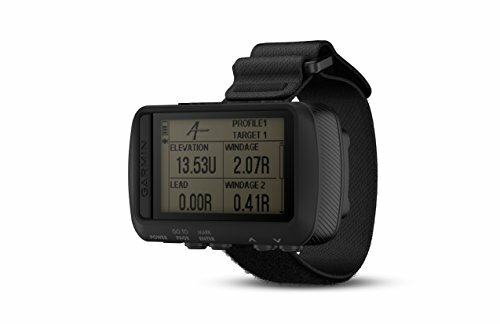 Includes built-in 3-axis accelerometer, 3-axis compass and a barometric altimeter so you can get your heading even when standing still. Explore longer -battery life in navigation mode exceeds 48 hours and lasts up to 1 week in UltraTrac mode. Stay connected with smart notifications -such as texts, emails and alerts -that appear right on your wrist. Other connected features include automatic uploads to the Garmin Connect online fitness community. Garmin Approach G10 GIFT BOX | Bundle includes Handheld Golf GPS, PlayBetter USB Car & Wall Charging Adapters, Garmin Carrying Case, Black Gift Box and Red Bow!